Do not miss this great chance to achieve great savings! 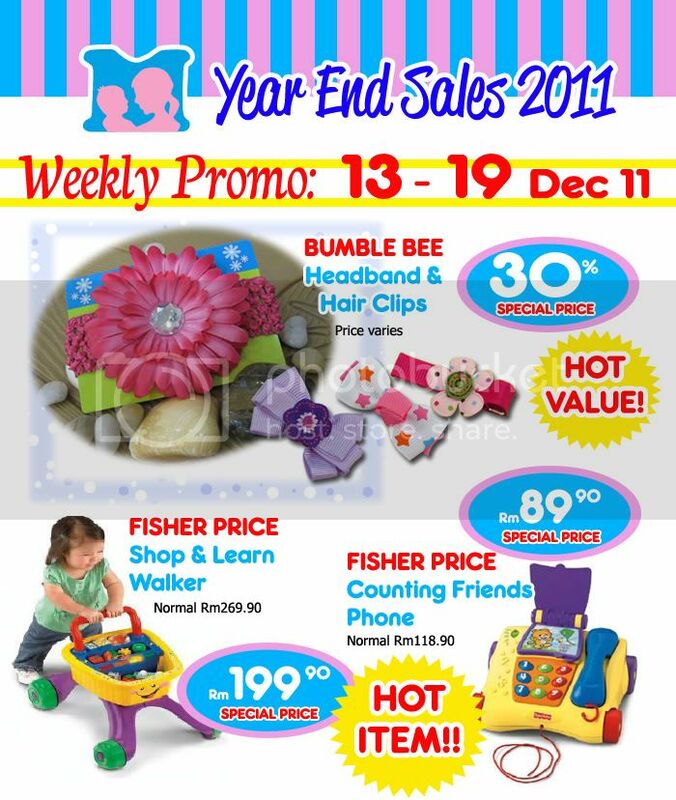 Hurry down to any of our outlets today. 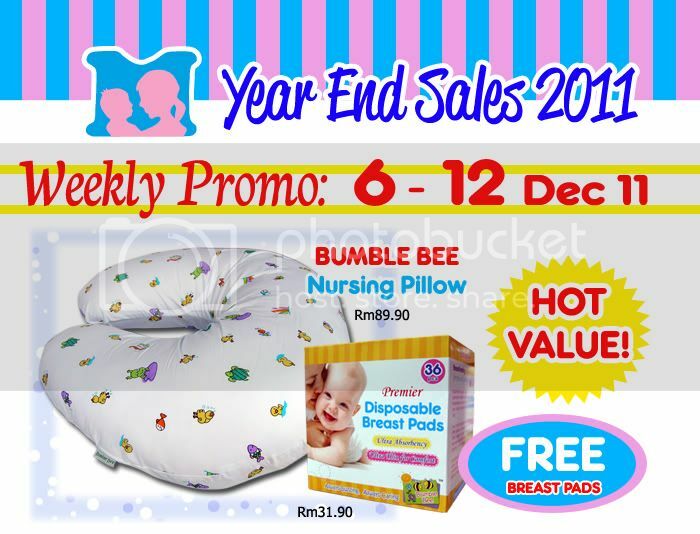 Promotion valid while stock lasts. Another Special Weekend Deal for our customers. 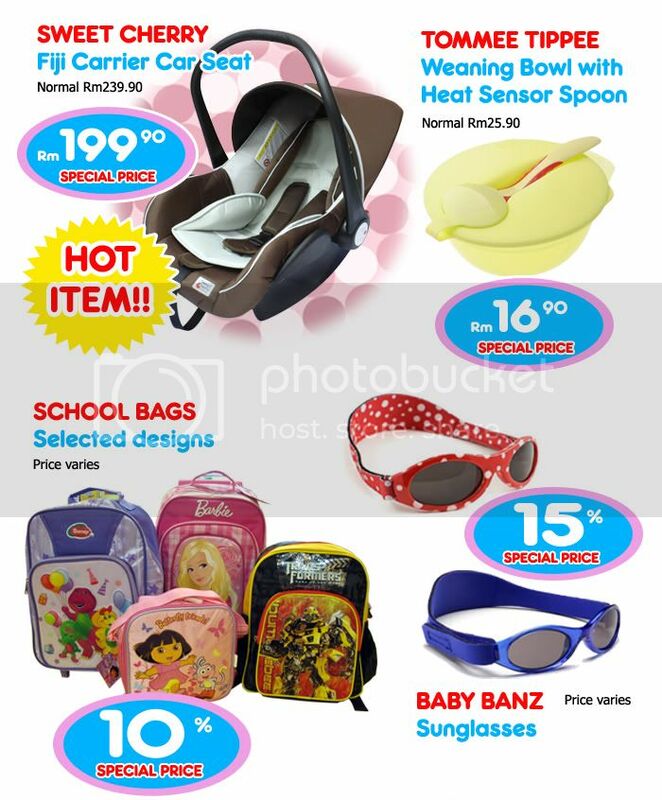 Many items are on special price from today onwards till Labour Day (next Tuesday). 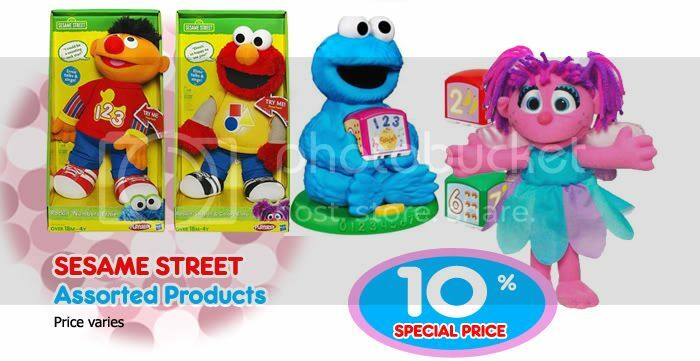 To enjoy t his great bargain, please visit our stores soon. Fabric designs for nursing pillow may vary in outlets. 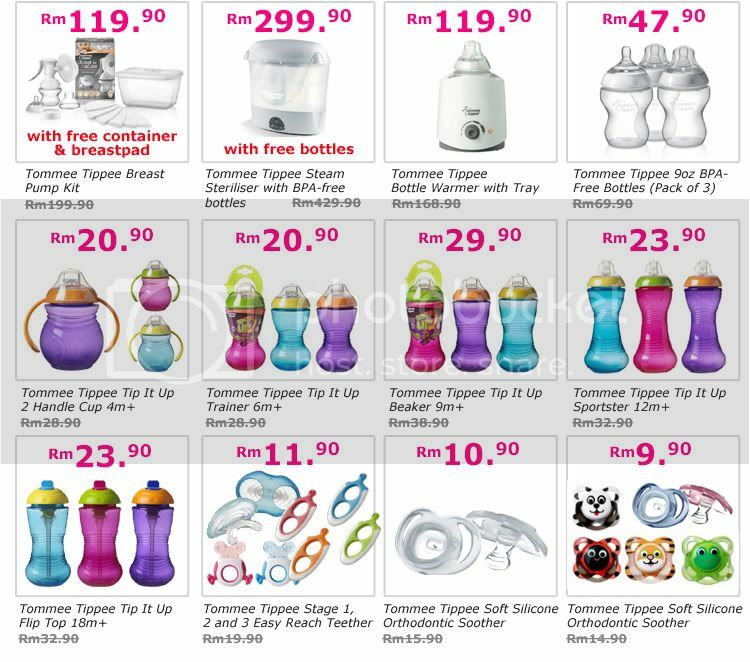 There is also another “Purchase with Purchase” promotion on Avent Manual Breast Pump (without the cooler bag), normal price is Rm259. 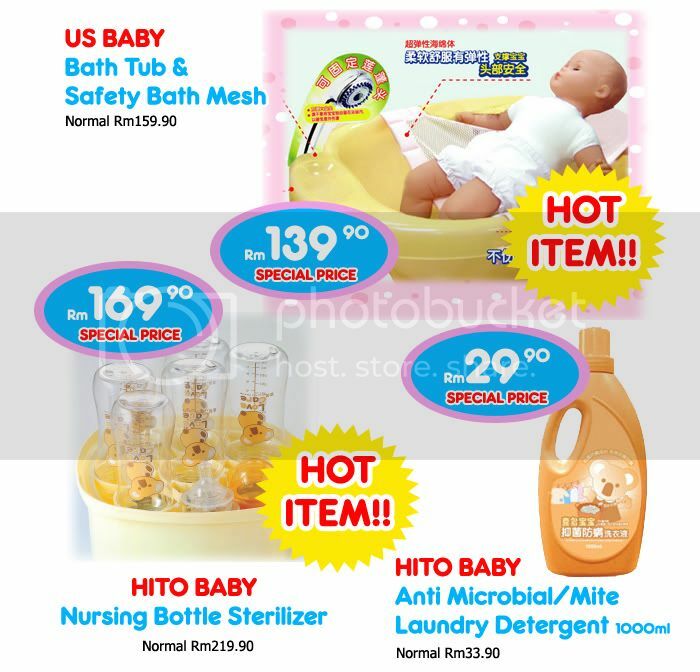 Now if you have purchase Rm79 worth of Avent products in a single receipt, you may buy it at Rm129 only. Also limited sets available. 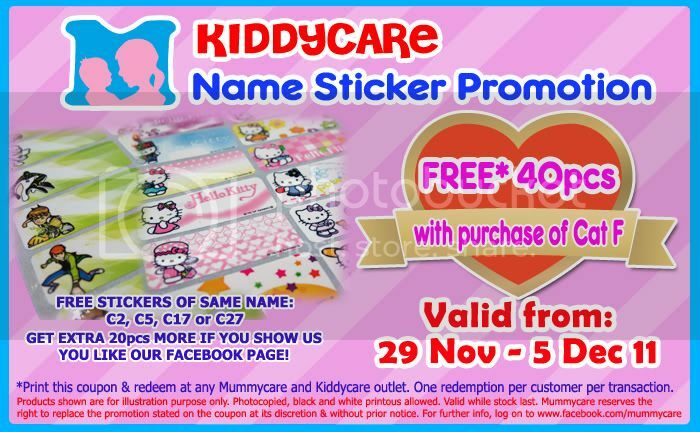 Buy it at Rm35.90 for each pack of MamyPoko disposable diaper, and you can still earn a stamp chop for your Mummycare-MamyPoko Customer Reward Program when you purchase 3 packs in a single receipt. 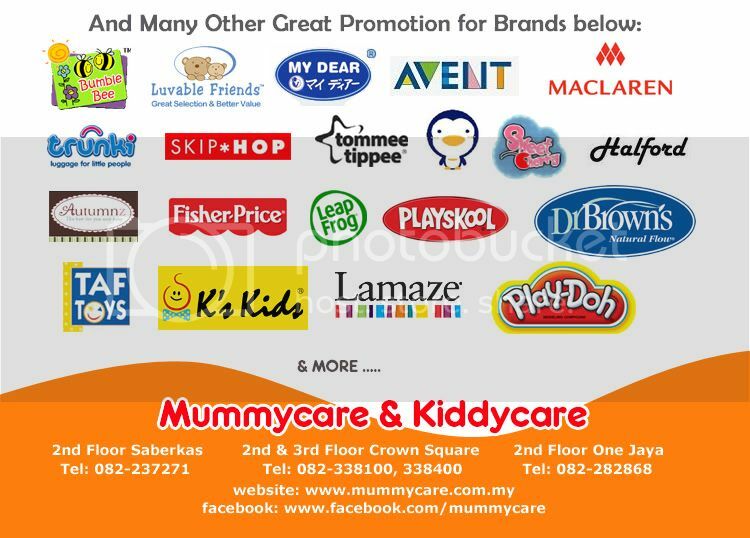 This is a 3-day special event for selected products at Mummycare and Kiddycare. You can get special price during this weekend, what’s more, some Special Price also entitled you to receive Cash Vouchers immediately! 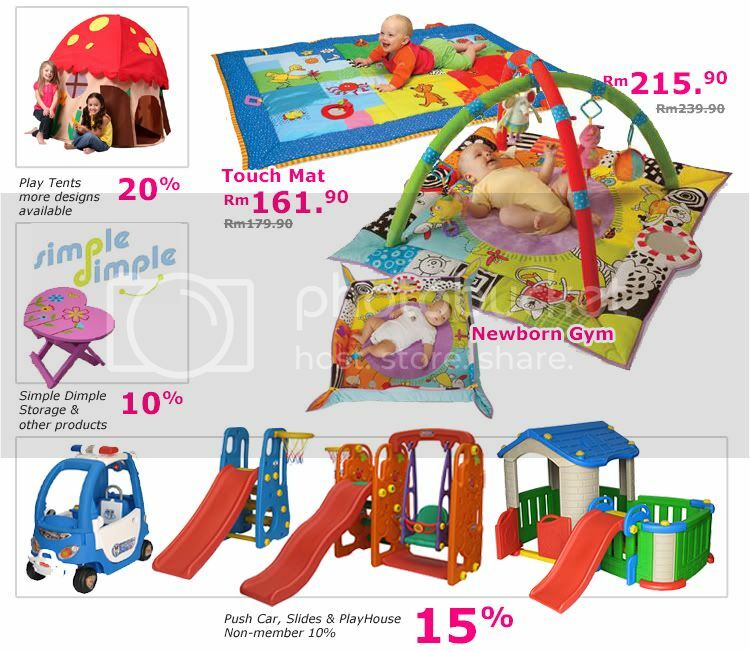 This range of products will be selling at a price 35% lower than its usual retail price for this weekend. 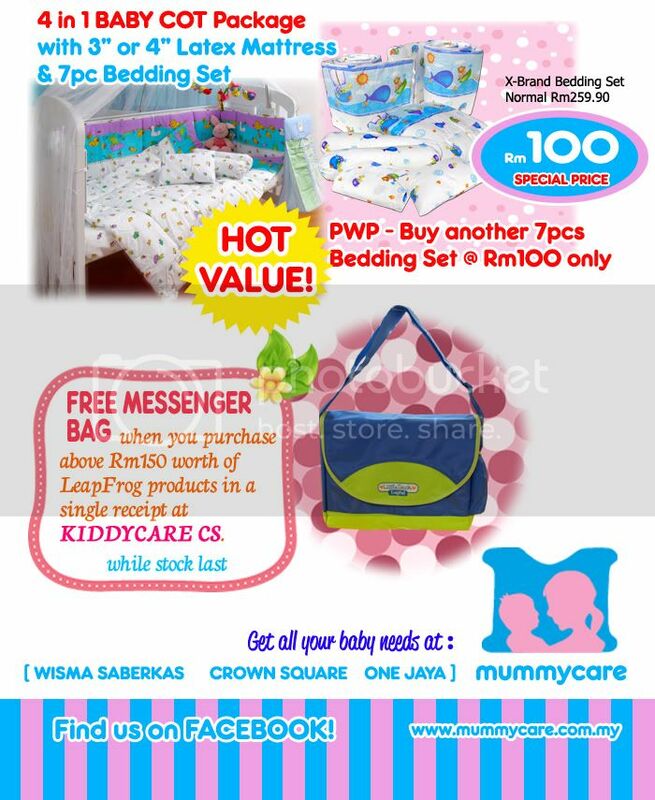 This weekend, if you purchase a set of convertible baby cot package (Model: 865) that is already tagged at a very attractive price, you will be entitled to purchase an additional 7pcs Bedding Set (assorted designs) at only Rm150! Normal retail price for this bedding set is Rm239.90. 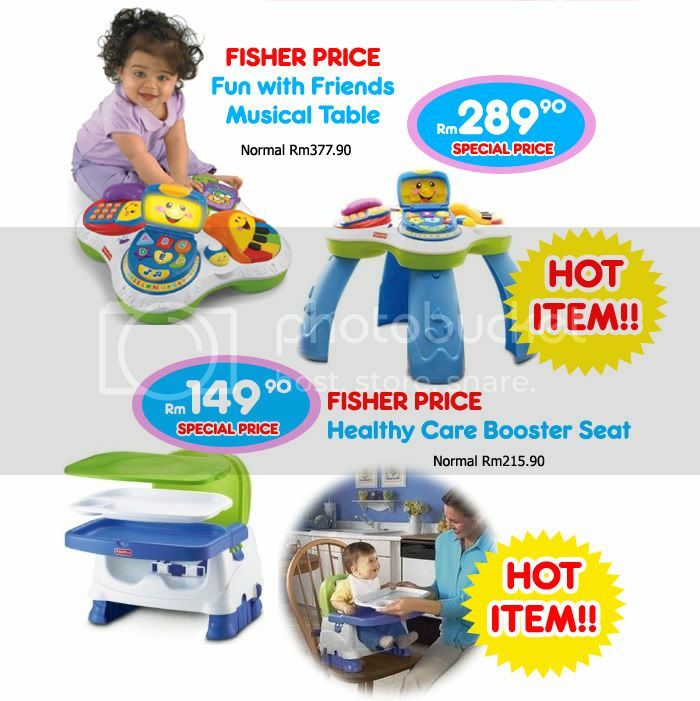 What’s more, with this PWP purchase, you will also receive a Rm20 Cash Vouchers which you can use it for your next purchase either at Kiddycare or Mummycare. That’s a total savings of Rm110 additional! 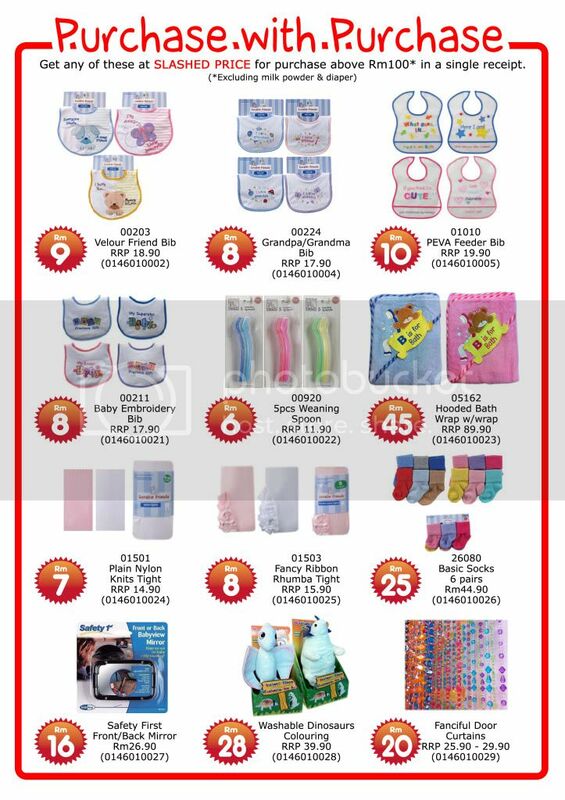 Save Rm4 from every pack of MamyPoko disposable diaper you are buying this weekend (20-22 April 2012). 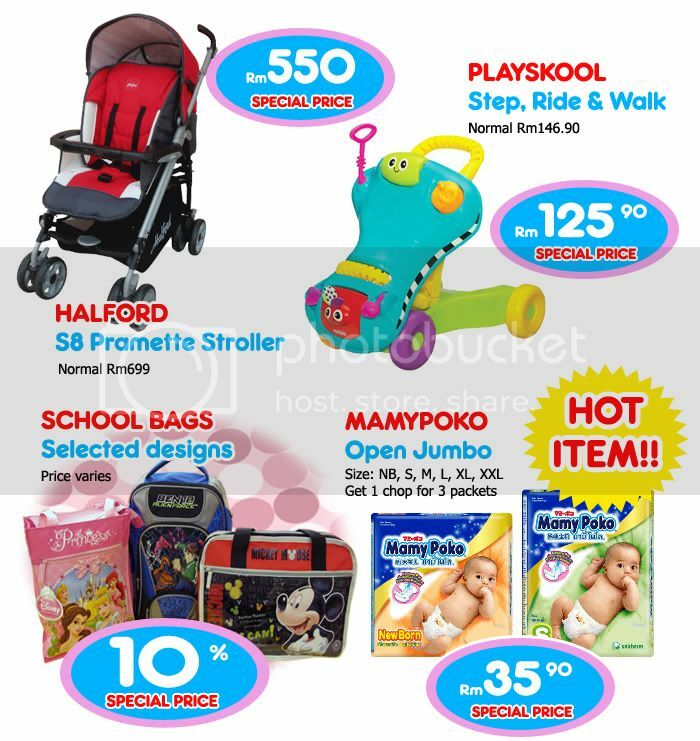 For every purchase above Rm100 in a single receipt, excluding milk powder and diaper, you can then buy the following products at the slashed price! 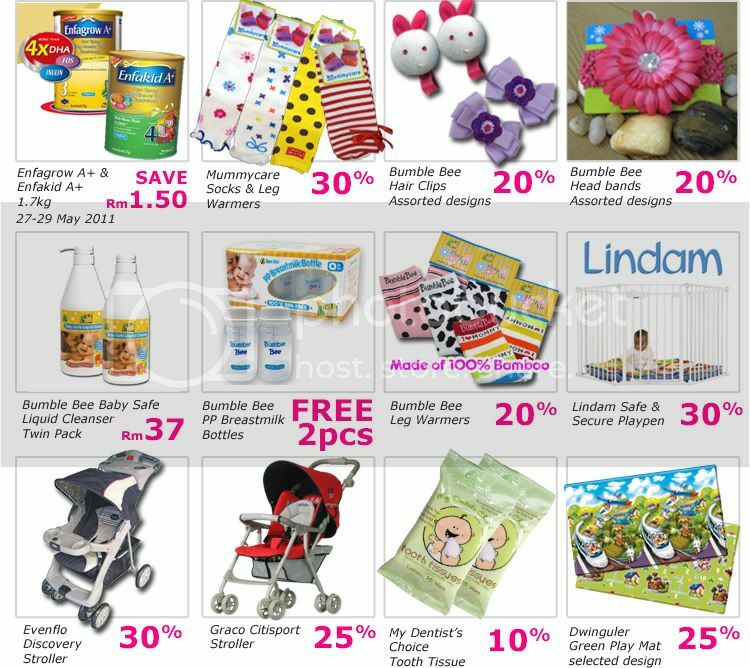 Very much discounted, so enjoy more savings now besides the products savings you can get in stores. May Holiday Sales starts today! 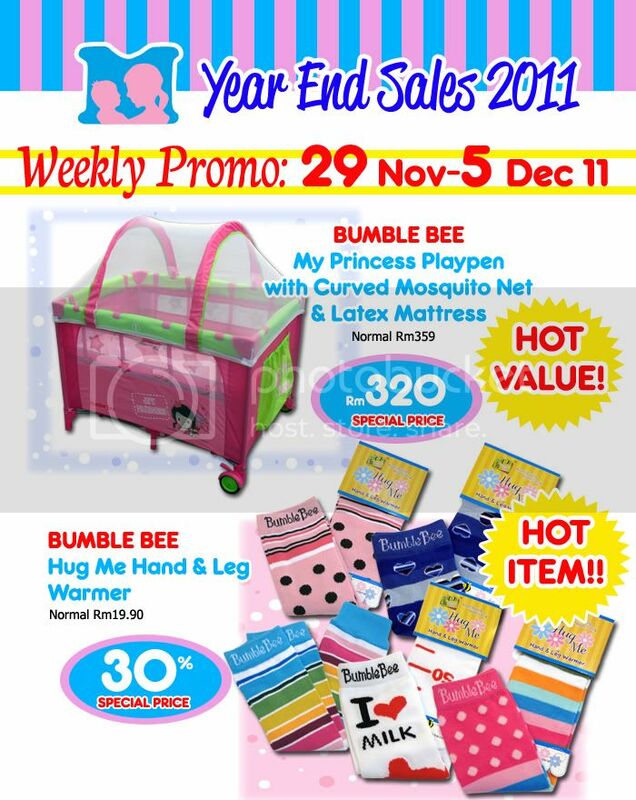 For more info and great offers, please check in store! 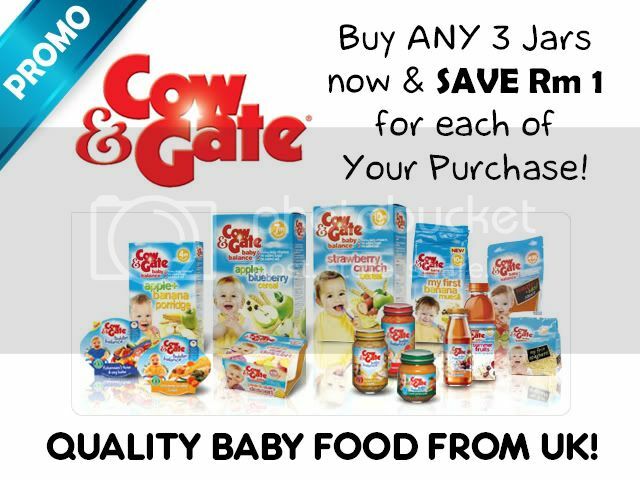 Buy ANY 3 JARS of Baby Food in a single receipt now and SAVE RM1 for each of your Purchase. Meaning: Buy 3 jars save Rm3, buy 4 jars save Rm4, buy 5 jars and save Rm5! The more you buy, the more you save! 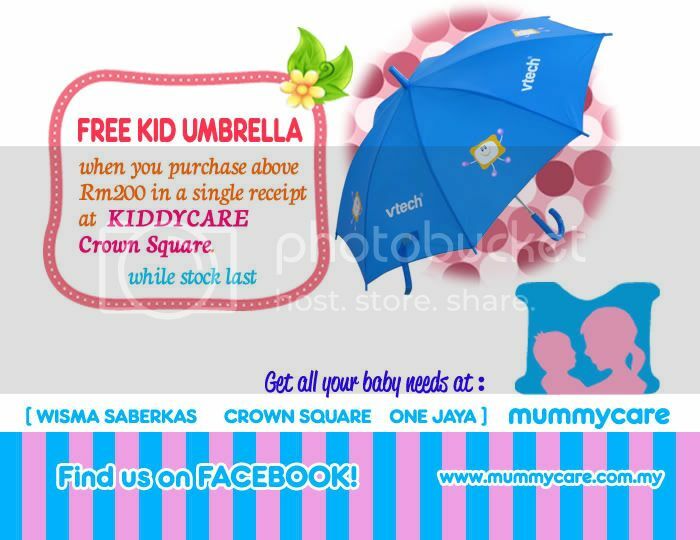 Get it now at Mummycare Saberkas and Mummycare Crown Square before this Introductory Promotion ends.